Rachel Lee and Nicole Holdaway earned a win/loss rating of 2-3. 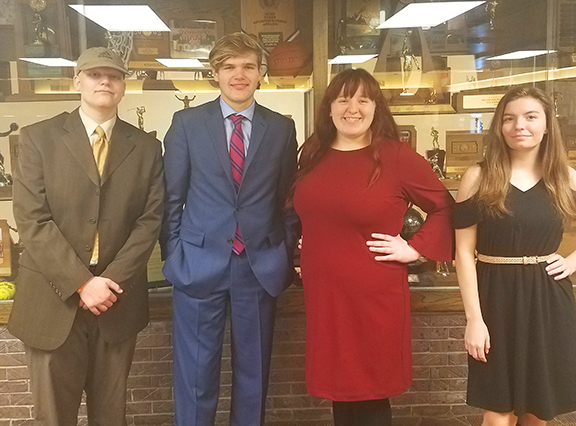 Caitlin Hendrix, the WHS Debate coach was proud of all 4 - "both teams did an amazing job this weekend...These students have worked tirelessly all semester and their work has paid off in the best way possible. We should be incredibly proud of them!" If you'll recall, less than 2 weeks ago, teammates Austin Fink and Austin Harrigerqualified for State in a tournament at Chaparral HS with a 5-0 win/loss rating. Good Luck to Austin, Austin, Gabe, & Devin - way to represent!